In selecting OMD, Adweek cited the company’s impressive turnaround performance following a very challenging 2017 that saw the historically dominant agency fall to the bottom of all major media analyst rankings. Adweek’s story details the comeback that took place during 2018 – a journey that saw OMD win or retain over $2.6b of business. According to Adweek’s story, the turnaround began with key leadership changes, firstly by the appointment of Florian Adamski to Global CEO in late 2017 and laterally as he built out his key executive and regional leadership teams with a blend of proven talent from within Omnicom and key hires from the wider industry. ‘Better decisions, faster’ became OMD’s new north-star – combining brand promise and competitive positioning. To ensure it would be more than a tagline, numerous global initiatives were undertaken to inform every aspect of the business and empower OMD’s talent to deliver against the promise. The article further credits the joint introduction of a new tech platform (OMNI) and media planning process (OMD Design) with the turnaround. OMNI is a people-based precision marketing and insight platform created by Omnicom. In parallel, OMD re-imagined their planning process, OMD Design, a bespoke process grounded in the practice of empathy. The partnership of best-in-class technology guided by a unique process aims to empower OMD to craft more valued and valuable experiences that deliver better business outcomes. The Adweek story concludes that, after years of global dominance, despite a difficult 2017, OMD with the support of their Client including the ones added in 2018, has delivered an unprecedented comeback and is once again at the top of its game. OMD combines innovation, creativity, empathy and evidence to make better decisions, faster on behalf of their clients so they can learn faster and act likewise, create valued connections with customers, build profitable business outcomes and, ultimately, win the future. With presence in over 100 countries, the organisation is the world’s largest media network. Named Adweek’s Global Media Agency of the Year 2019, OMD is also currently ranked the world’s most effective media agency network in the Effie Effectiveness Index. However, mediaReach OMD in Nigeria, West & Central Africa continues to be a thought leader and pioneer of various initiatives at the industry level, including syndicated and proprietary researches. 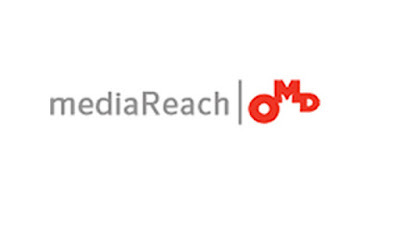 In 2019, mediaReach OMD celebrates its 20th anniversary and continues to be the leading Media Agency in West and Central Africa. It has been consistently ranked number one by the Research Company Evaluating Media Agency Industry (RECMA), since report started for Nigeria in 2011, having presence in Nigeria, Ghana and Cameroon, with partner offices in West and Central Africa giving an unrivalled coverage to their existing clients in the region.